Save 60% off the regular price! Amazon has the Playskool Mr. Potato Head for only $4.82 regularly $11.99. Store the parts in the figure’s Tater Tush. 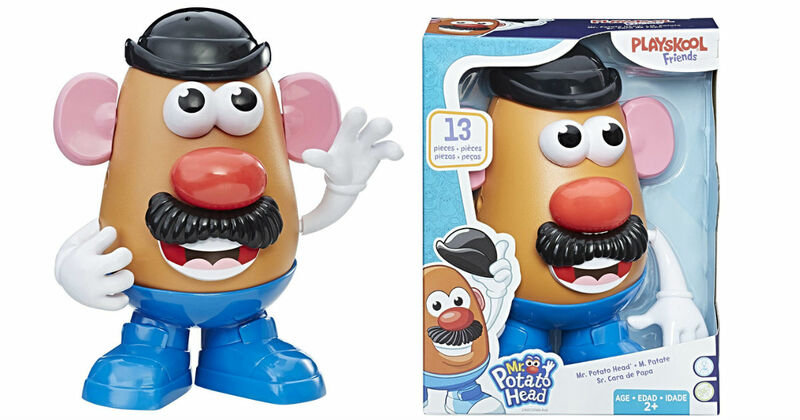 Potato figure comes with eyes, nose, mouth with teeth, hat, mustache, tongue, pair of glasses, 2 hands, 2 ears and 1 pair of legs with shoes.